It’s not the Christmas season until you are huddled in the kitchen making cookies and other holiday treats! I have lots of memories of Christmas baking with my mom and grandmother. Our tried and true cookie was always the cookies that we made with the cookie press. 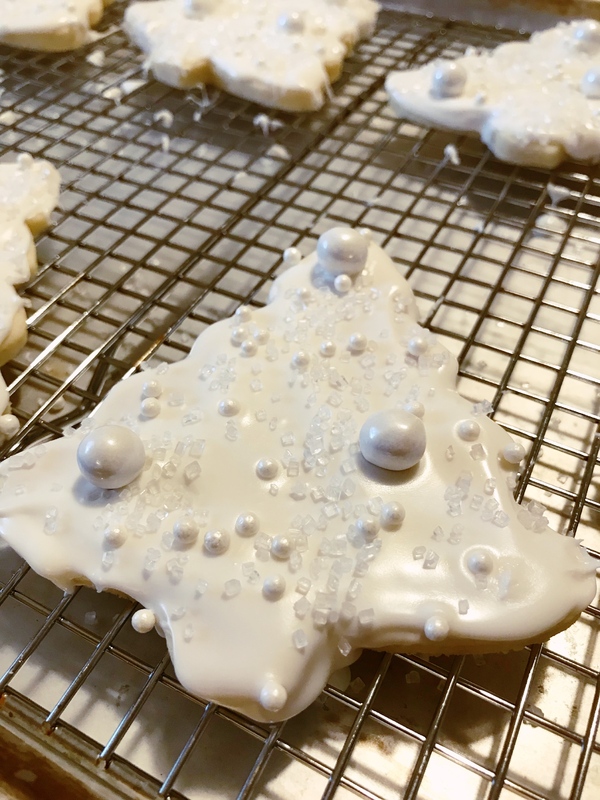 I LOVED being able to turn the knob on the metal cookie press and make all kinds of designs to decorate! 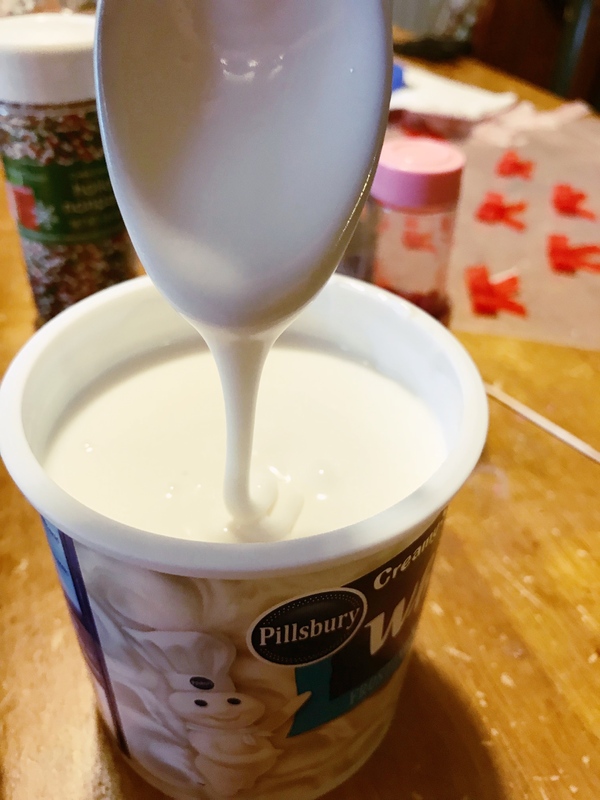 Amidst all of the baking that I have done through the years, I have always wanted to try my hand at royal icing but have always been too intimidated. That was until these beauties!!! 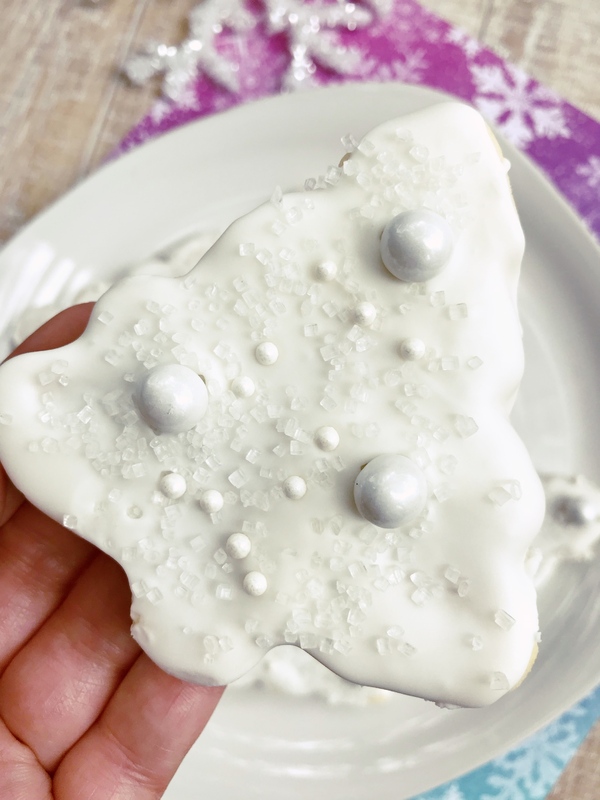 These sugar cookies are a showstopper! But lean in closely and let me tell you a secret…the “royal icing” is actually store-bought frosting! 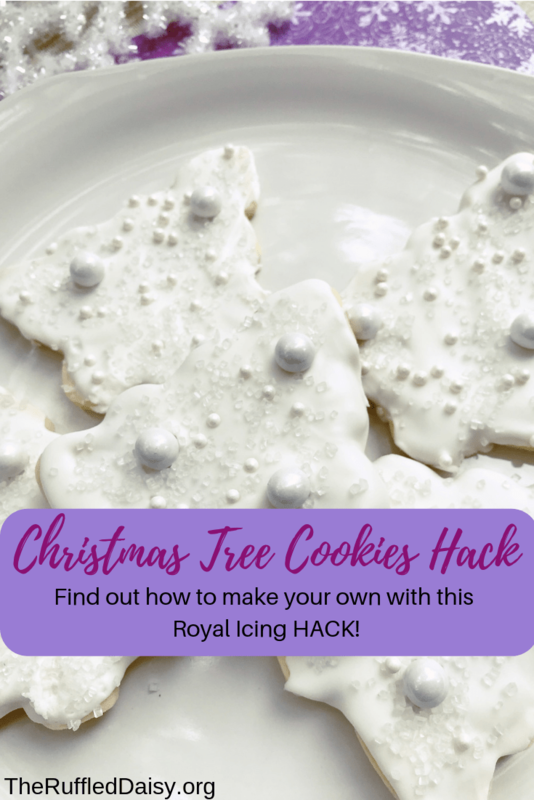 This hack will save you tons of time this holiday season and no one will know it isn’t homemade royal icing. 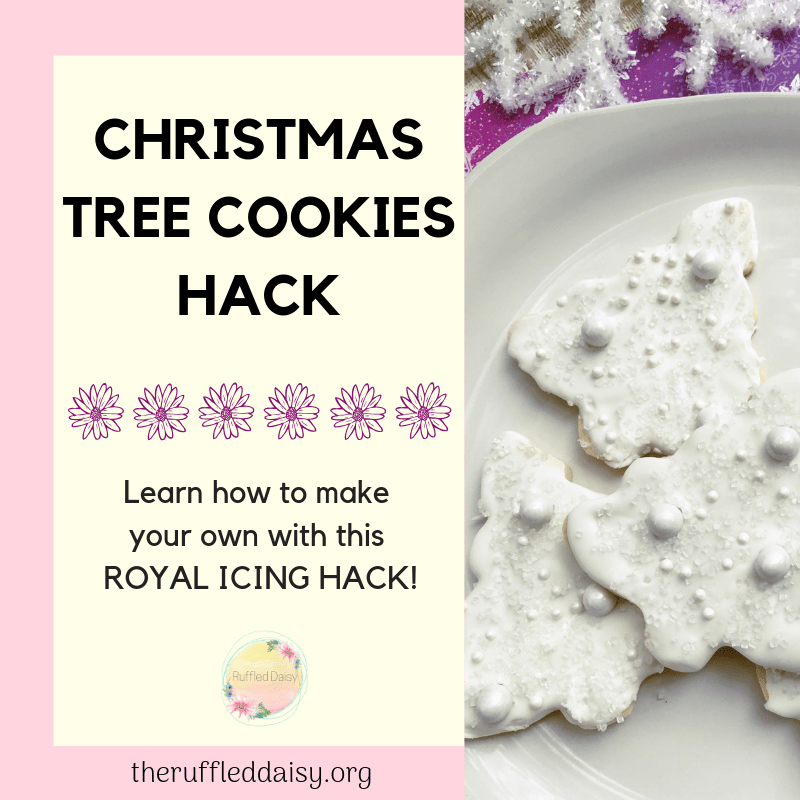 Find out how you can make your own with this royal icing hack! 1 teaspoon vanilla extract – this is my homemade vanilla that you MUST make! Preheat oven to 350 degrees. Prepare a baking sheet with parchment paper. Whisk together dry ingredients: flour, baking powder, and salt. Set aside. In a mixing bowl, blend the butter and sugar until creamy and light. Add egg, almond extract, and vanilla extract. Mix well. Slowly add dry ingredients and mix until combined. Dough may be a little crumbly. Turn out the dough onto a surfaced sprinkled with flour. Press into a ball and then roll out to ½ inch thickness. 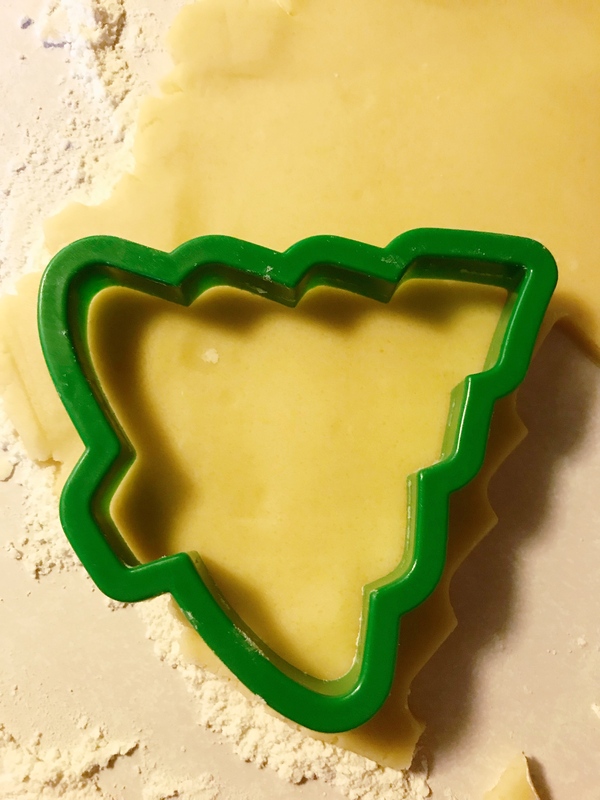 Use cookie cutters to create shapes. Carefully lift shaped cookies to the baking sheet. Bake cookies for 7 to 9 minutes. Do not brown the cookies. Allow cookies to cool for at least 7 minutes on the baking sheet before carefully removing to a cooling rack. Cool completely before decorating. To make your faux Royal Icing, remove lid and foil from frosting container. Heat in the microwave on high heat for 30 seconds. Stir well. Repeat in 15 second intervals, stirring each time, until the frosting has melted to a stirrable consistency. Spread frosting over the cookies and immediately decorate with sprinkles. For larger sprinkles, gently press into the frosting so they will not easily fall off the cookies. This will dry hard giving the look of Royal Icing! Allow cookies to dry completely or serve immediately. Wilton 101 Cookie Cutter Set – this has all the holiday ones you’ll need, as well as letters and numbers! Amazing huh?! And all this time I was AVOIDING using Royal Icing!! Now ALL the cookies are going to have it! Have you ever used Royal Icing?? Is it at intimidating as I make it out to be? Preheat over to 350 degrees. Prepare a baking sheet with parchment paper. Whisk together dry ingredients: flour, baking powder, and salt and set aside. In a mixing bowl, blend the butter and sugar until creamy and light. Add egg, almond extract and vanilla extract. Mix well. Slowly add dry ingredients and mix until combined. Dough may be a little crumbly. 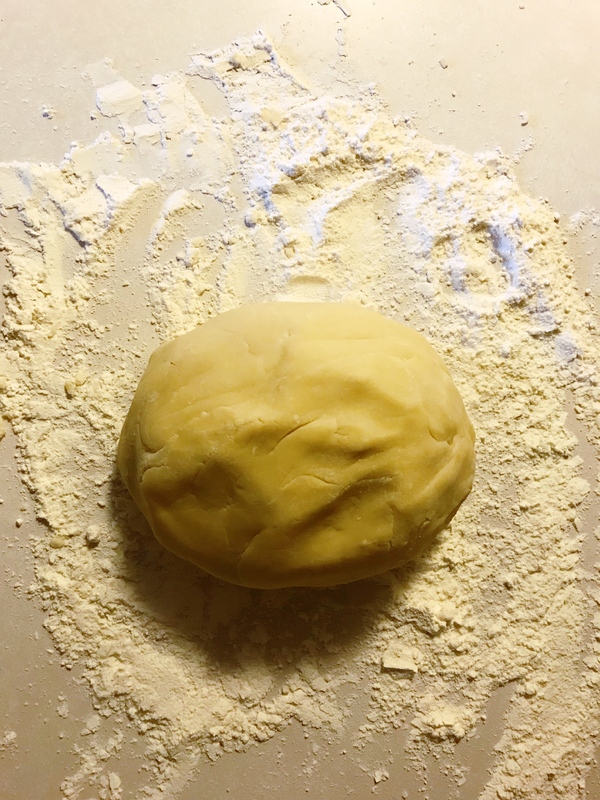 Turn out dough into a surface sprinkled with flour. Press into a ball and then roll out to a 1/2 inch thickness. Using cookie cutters, cut your Christmas trees. 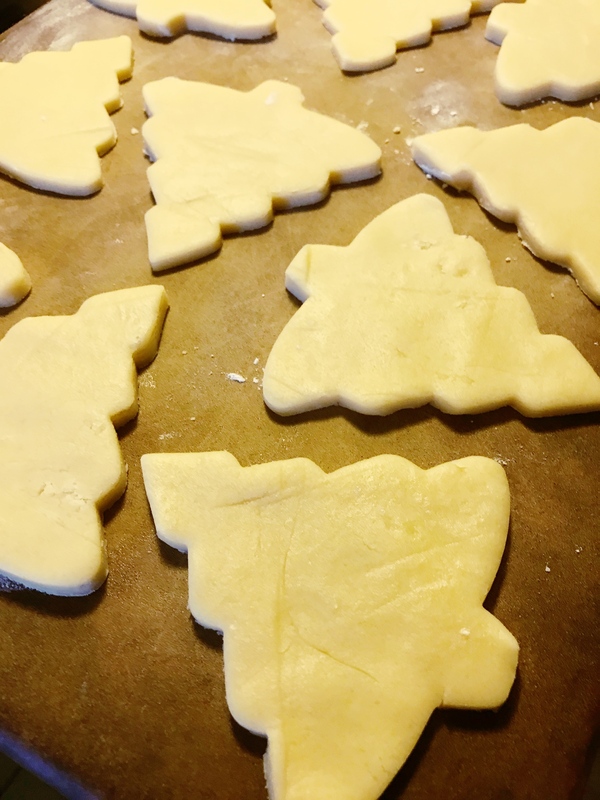 Carefully lift shaped cookies to the baking sheet. To make you faux royal icing, remove lid and foil from frosting container. Heat in the microwave on high heat for 30 seconds. Stir well. Repeat in 15 second intervals, stirring each time, until the frosting has melted to a stirrable consistency. Spread frosting over the cookies and immediately decorate with sprinkles. 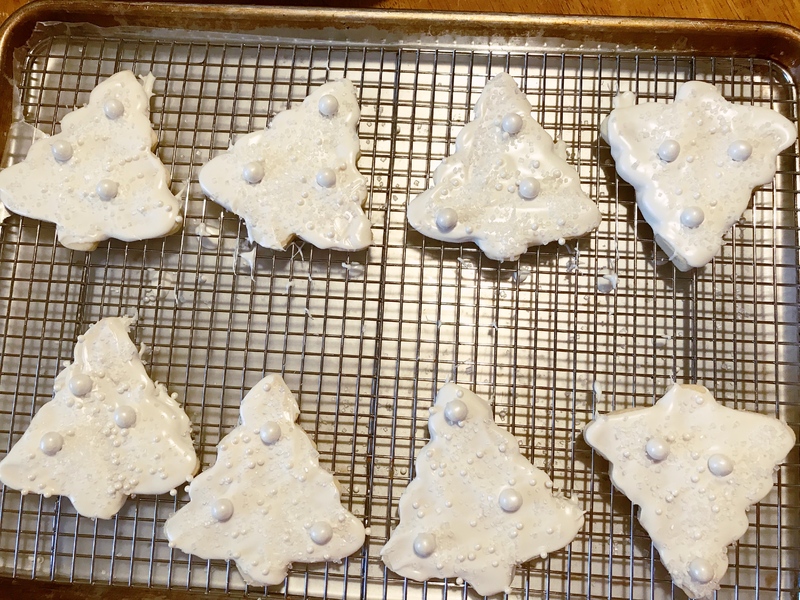 For larger sprinkles, gently press into the frosting so they will not easily fall off the cookies.